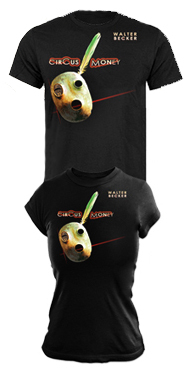 Walter Becker 'Circus Money' T-shirt, previously only available at Steely Dan shows, now exclusively available here on the Sonic360 website. Get yours now! Available in both Women's and Men's T-shirt cuts.